Antique French Louis XIII style buffet d'appui (tall buffet). Circa 1850s. Solid oak. 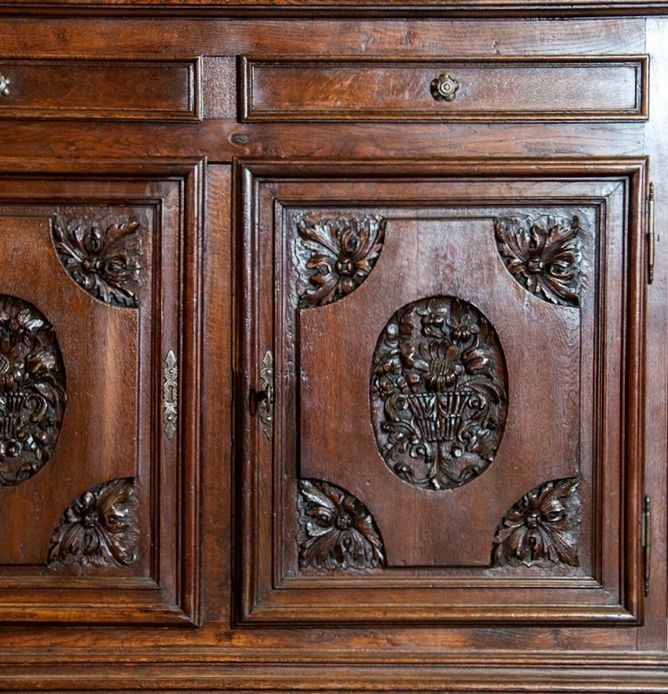 Two drawers with iron pulls over two doors with carved center medallions featuring floral bouquets. 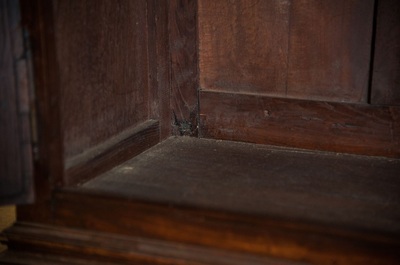 Resting on bun feet. 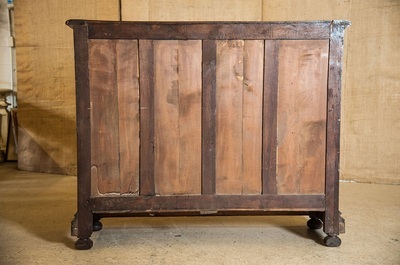 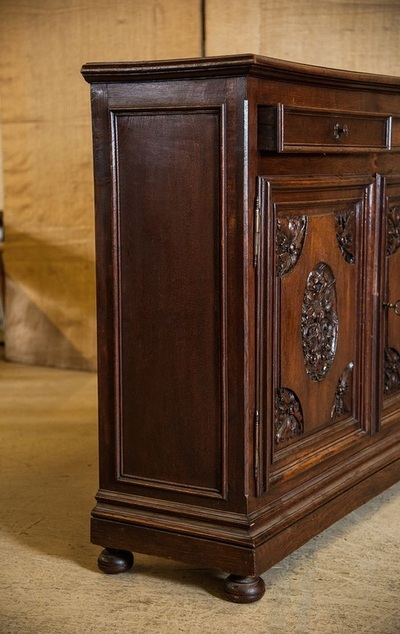 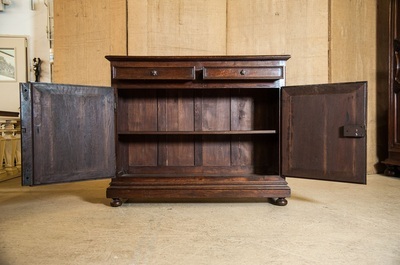 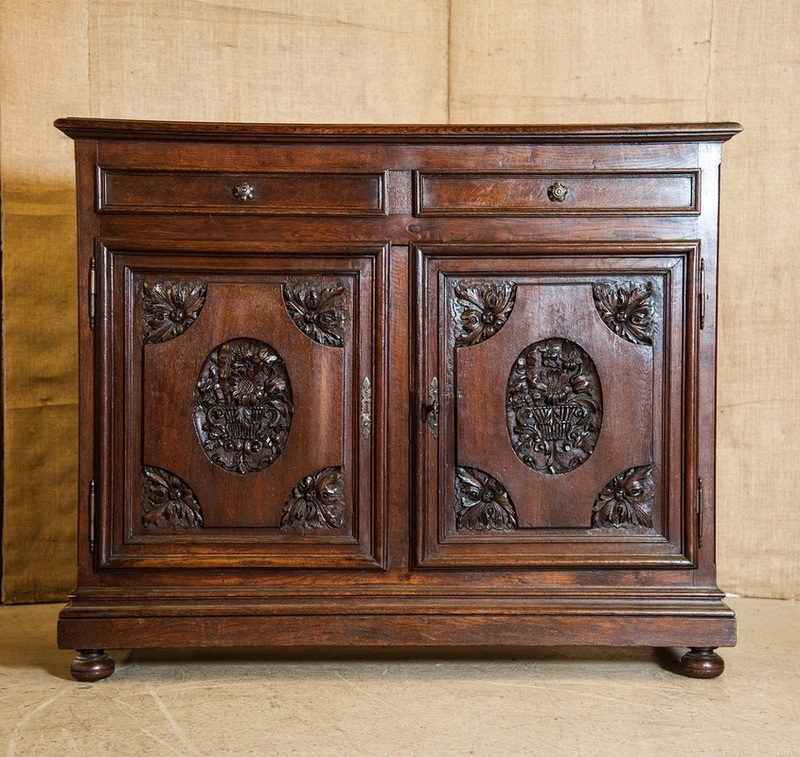 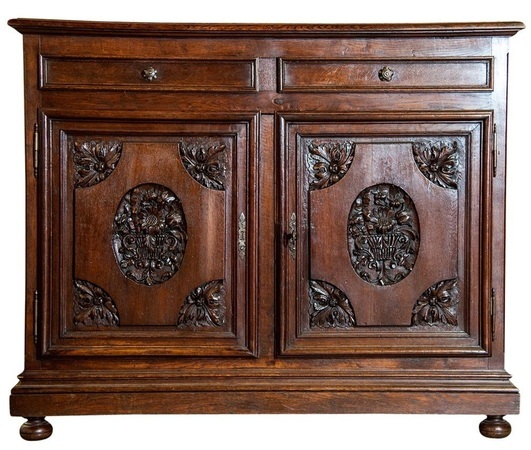 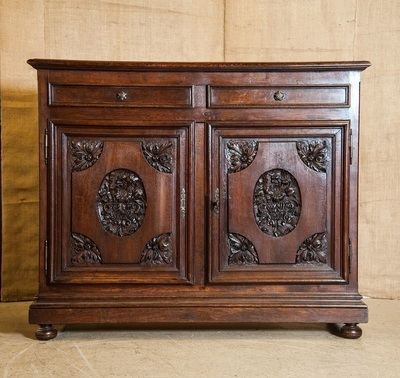 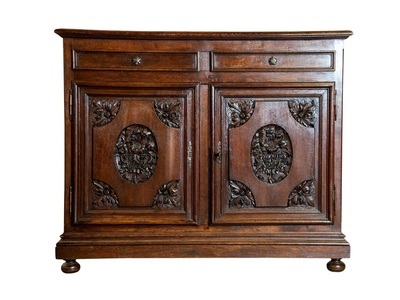 This lovely, gentleman's buffet was used in a monastery near Mont Saint-Michel in the Normandy region. 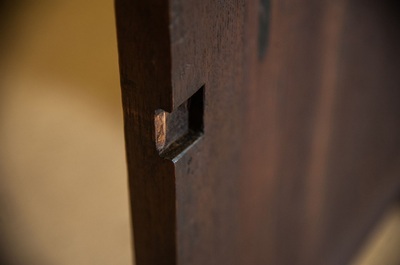 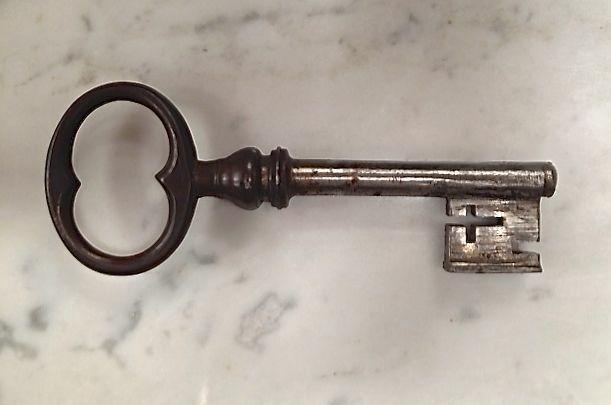 The key with the cross on the bit signifies it was made for a religious piece. 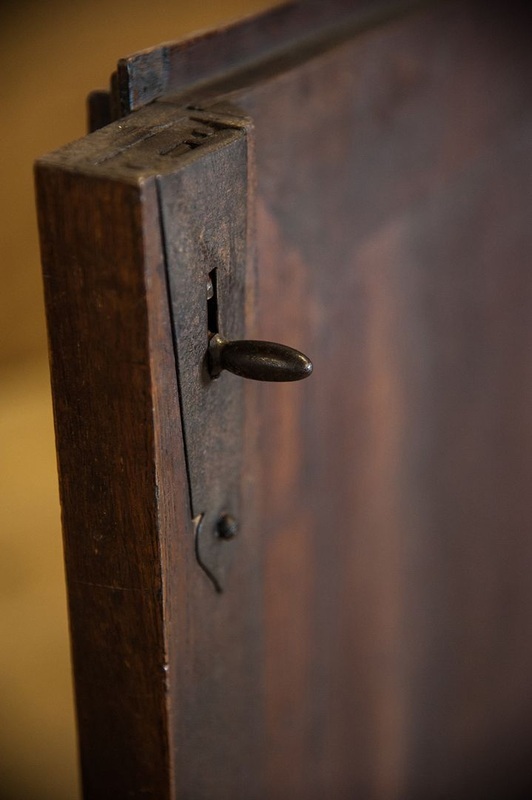 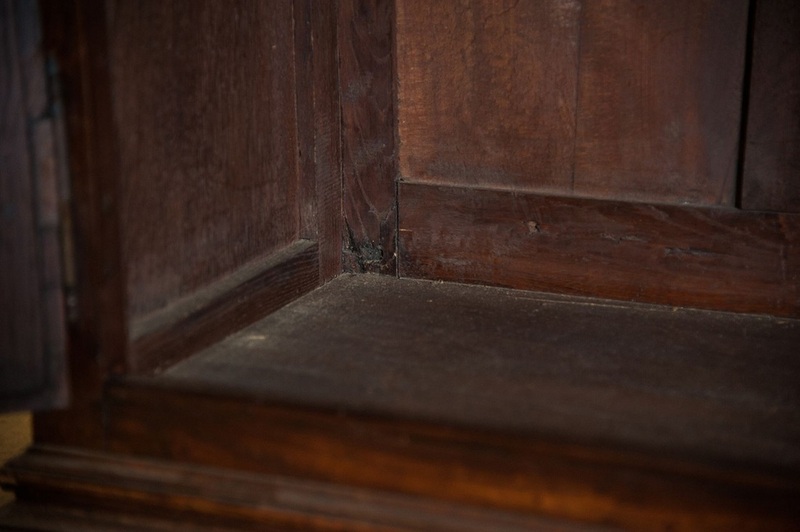 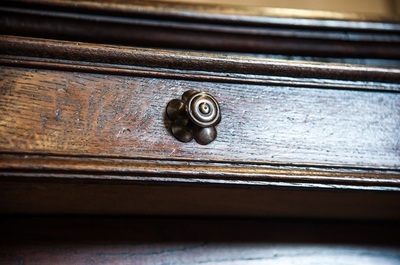 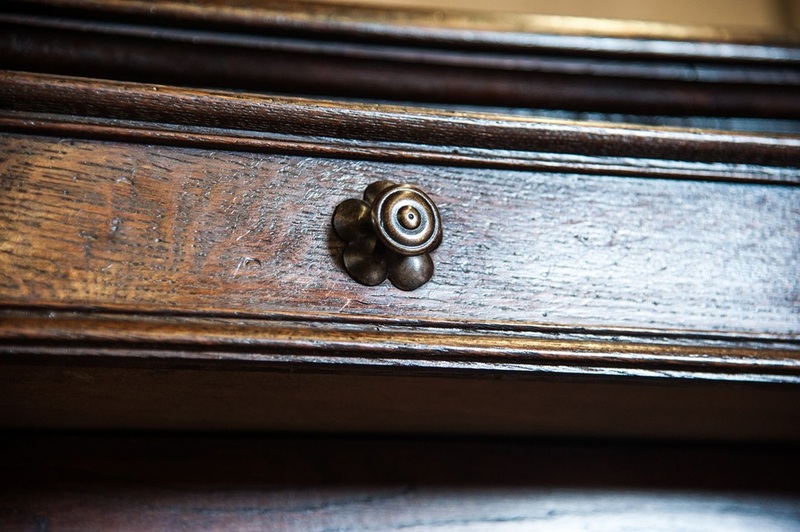 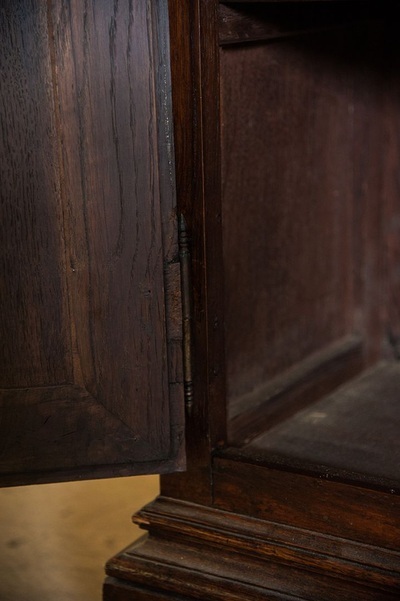 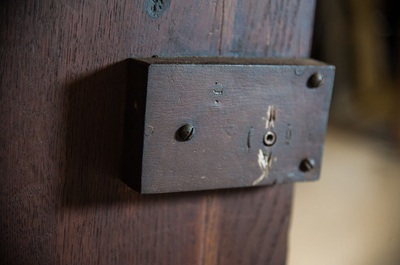 Church keys were usually heavy iron keys with a cross on the bit or bow and were considered particularly powerful — so powerful, they were thought to be able to calm unruly children or cure whooping cough.